Description Warm, sunny weather and higher-than-normal river flows . 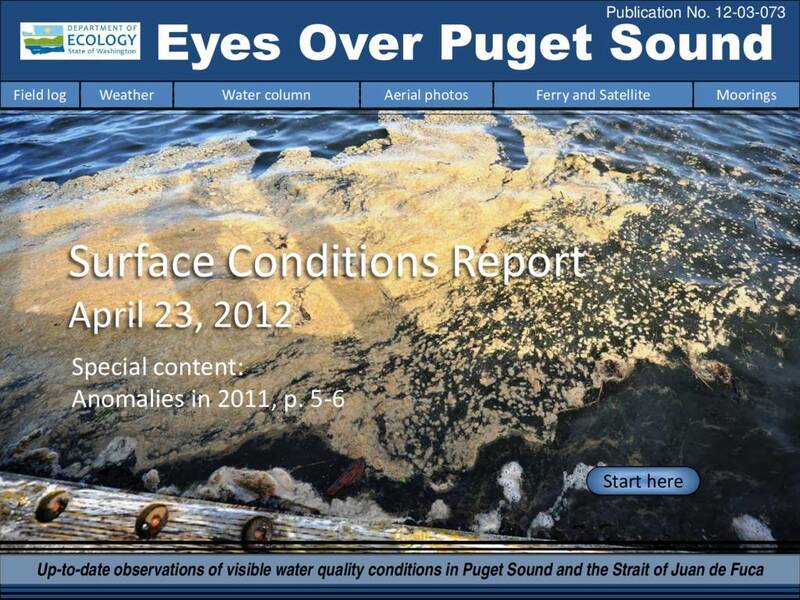 The freshwater layer in Whidbey Basin increased by 2 m. Abundant surface debris and algae blooms in river-fed inlets in South and Central Sound. Puyallup plume extends into Quartermaster Harbor. New thermosalinograph installed on ferry.